Radio style hip hop and rap. 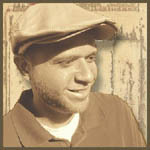 Jamil has nine tracks of top notch hip hop, produced in my studio software of choice, FL Studio. He has a style reminiscent of eminem, but we won’t hold that against him, as his lyrics don’t contain quite the level of chest beating that commercial music does. 😀 Be sure to pay attention to the track Labyrinth, my personal favorite. This entry was posted in Uncategorized and tagged Hiphop by bahgheera. Bookmark the permalink.